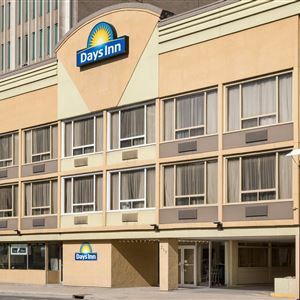 Property Location With a stay at Days Inn Downtown Ottawa in Ottawa (Lowertown), you'll be convenient to Ottawa Art Gallery and National Gallery of Canada. This eco-friendly hotel is within close proximity of Galerie SAW Gallery and Laurier House. Rooms Make yourself at home in one of the 74 air-conditioned rooms featuring refrigerators. Complimentary wireless Internet access keeps you connected, and cable programming is available for your entertainment. Bathrooms have complimentary toiletries and hair dryers. Conveniences include desks and separate sitting areas, and housekeeping is provided daily. 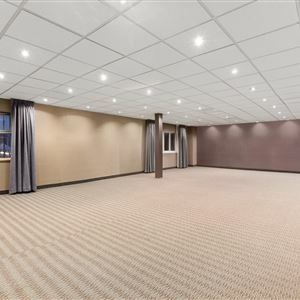 Amenities Enjoy the recreation opportunities such as a fitness center or make use of other amenities including complimentary wireless Internet access. Dining Satisfy your appetite at the hotel's restaurant, which features a bar. Dining is also available at a coffee shop/café. Breakfast is available for a fee. Business, Other Amenities Featured amenities include a 24-hour business center, complimentary newspapers in the lobby, and a 24-hour front desk. Self parking (subject to charges) is available onsite. With a stay at Days Inn Downtown Ottawa in Ottawa (Lowertown), you'll be convenient to Ottawa Art Gallery and National Gallery of Canada. This eco-friendly hotel is within close proximity of Galerie SAW Gallery and Laurier House. Make yourself at home in one of the 74 air-conditioned rooms featuring refrigerators. Complimentary wireless Internet access keeps you connected, and cable programming is available for your entertainment. Bathrooms have complimentary toiletries and hair dryers. Conveniences include desks and separate sitting areas, and housekeeping is provided daily. Satisfy your appetite at the hotel's restaurant, which features a bar. Dining is also available at a coffee shop/café. Breakfast is available for a fee.